Let’s discuss about ties. How much is it important while wear suits, No matter what type of profession you are, a good gentleman should always have a few good ties on hand for interviews, special occasions, business meeting or even a night out when you want to look extra classy. When worn out right, a tie can take even the most basic of looks up a couple notches. 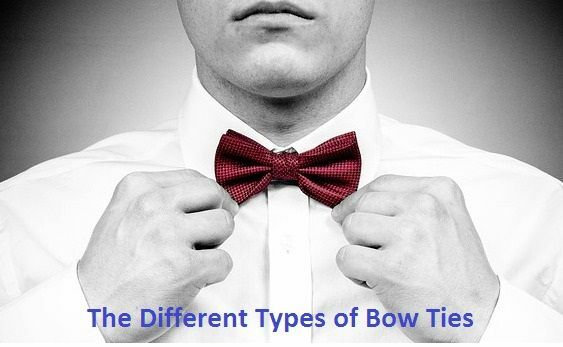 Below are six different types of ties, and how you can fit in them into your clothes styles. The skinny bow tie was first made popular in the ‘Rat Pack Era’. This is often a great option for fun and formal evening. Though its important to also information for the size of your head and lapels. If either is large, the bow tie will look too small. The thin bow tie is what most people have in mind when they think above wearing a skinny bow tie. At.5’ smaller than a normal bow tie, it gives off a smooth and stylish vibe and is a suitably equal for most head sizes. This is your standard bow tie size. A 2.5′ bow tie will always look suitably regular on almost everyone. The look is a very balanced one, which doesn’t draw attention to itself because of size but rather because of its undeniable class. While butterfly or ‘Flare’ ties periodically come in and out of style, there is always place for them in the formal spectrum. Typically these work best on men with large heads, or large personalities, any bow tie 3’ or large falls into the category. If you are sold on the class and versatility of a 2.5′ bow tie, but you want something a little more attention grabbing, try a 2.5′ diamond tie. Often the preferred tie for James bond, this bow tie takes the classic and ramps it up a bit. Perfectly imperfectly, undoubtedly the most formal of bow ties is the bow tie you tie yourself. Self bow tie usually end up somewhere between 2.5′ – 3′ once tied but they come in all shapes and sizes. These are suggested for any true black tie affair.